What Is Supply Chain Compass? 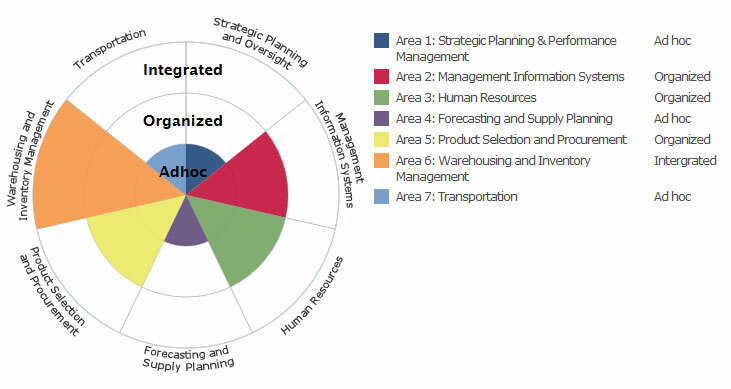 Supply Chain Compass provides a quick, high-level diagnosis of how mature your public health supply chain is across key managerial and functional areas. Important Note: This tool does not provide an assessment of your supply chain performance, nor does it provide an in-depth evaluation of your supply chain capability or maturity. 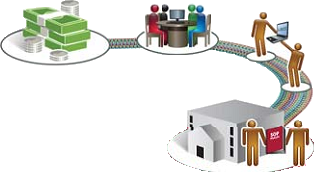 To find the root cause of your supply chain challenges, further assessment must be carried out to analyze the various functional areas. Explore options for a more in-depth evaluation. Who Should Use Supply Chain Compass? Anyone with comprehensive knowledge of a supply chain can use this tool. This includes program managers and supply chain managers at ministries of health, implementing partners, and donor agencies. Supply Chain Compass can be used by an individual or a group; view guidance for using the tool in a team setting. The diagnostic takes approximately one hour to complete if you have all the information needed. Before you start, please review the 30 questions. You can create an account to save your entry and complete it later. 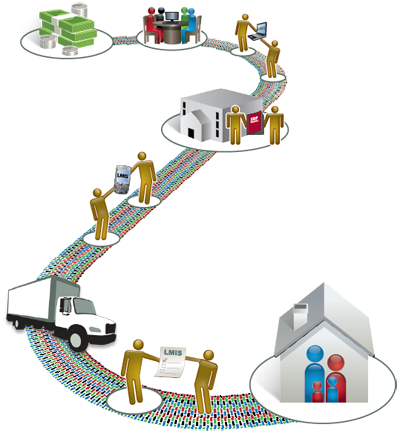 Supply chain integration helps manage complexity and improve performance. An integrated supply chain has visibility of information and activity up and down the chain, fewer steps in its processes, and greater coordination and predictability of demand between all the levels and actors in the system. » Learn more about integration. What is the integration framework? 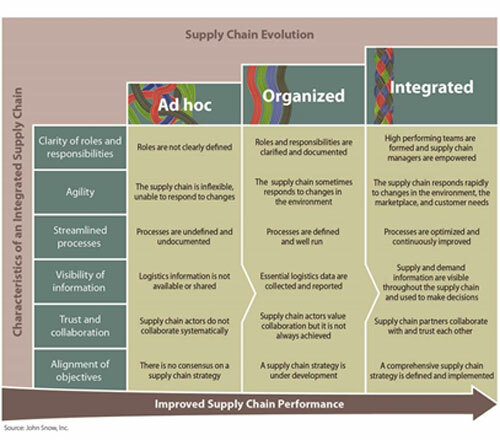 Supply chains move through different stages as they mature. To move from one phase to the next, they must perform specific activities to organize, strengthen, and align the systems. The Integration Framework provides an overview of activities that help strengthen a public health supply chain. How will my Compass report look? With Supply Chain Compass, you can generate a report that rates seven areas of your health supply chain and provides resources and recommendations for each of them. Why are public health supply chains important? Watch this three-minute animated video that describes the importance of adapting supply chain integration commercial approaches for public health to make sure life saving health products get to the people who need them. "Much of the [world's] burden of disease can be prevented or cured with known, affordable technologies. The problem is getting drugs, vaccines, information and other forms of prevention, care or treatment—on time, reliably, in sufficient quantity and at reasonable cost—to those who need them." Copyright © by John Snow, Inc.